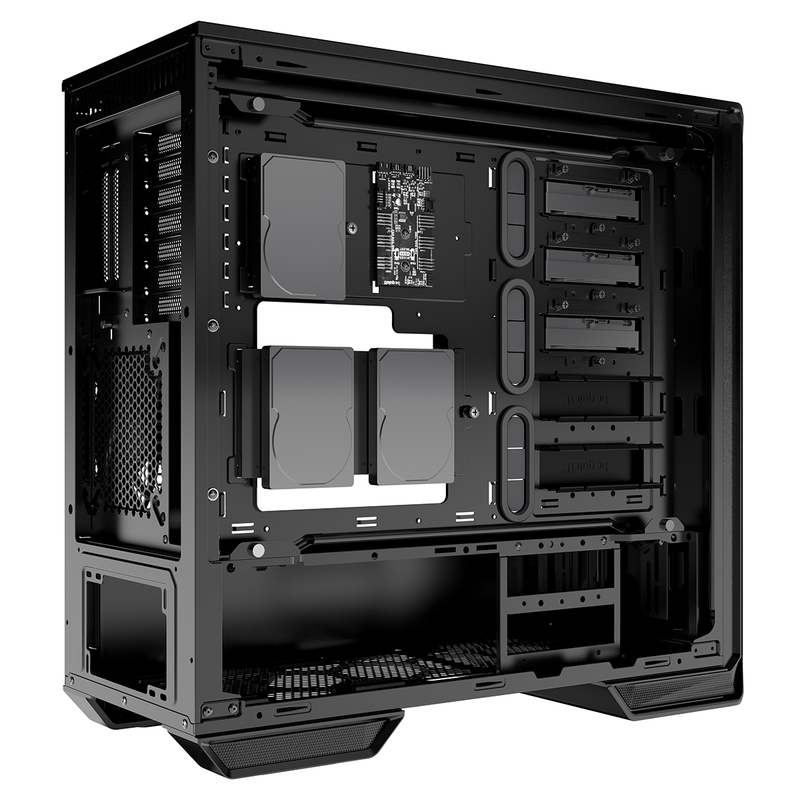 Having ventured into the PC chassis marketplace in 2014, German manufacturer be quiet! has quickly established a range of well-received enclosures. 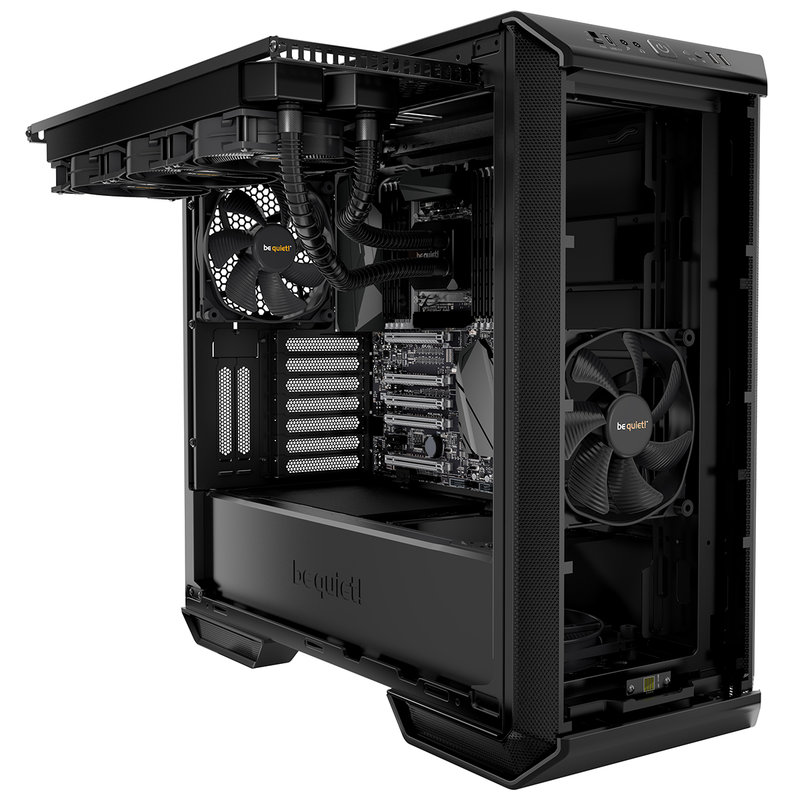 The Dark Base 900 continues to serve as a highly capable full-tower solution, while the more reserved Pure Base 600 ticks a lot of the right boxes for a mainstream mid-tower build, but what if you want the expansive feature set of the former in the footprint of the latter? Enter the Dark Base 700. 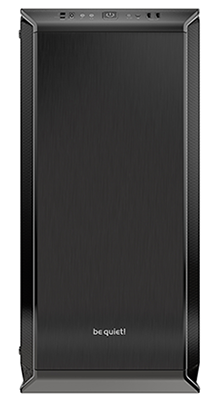 Let's not beat around the bush; the Dark Base 700, priced at £175, is in our estimation be quiet! 's best chassis to date. 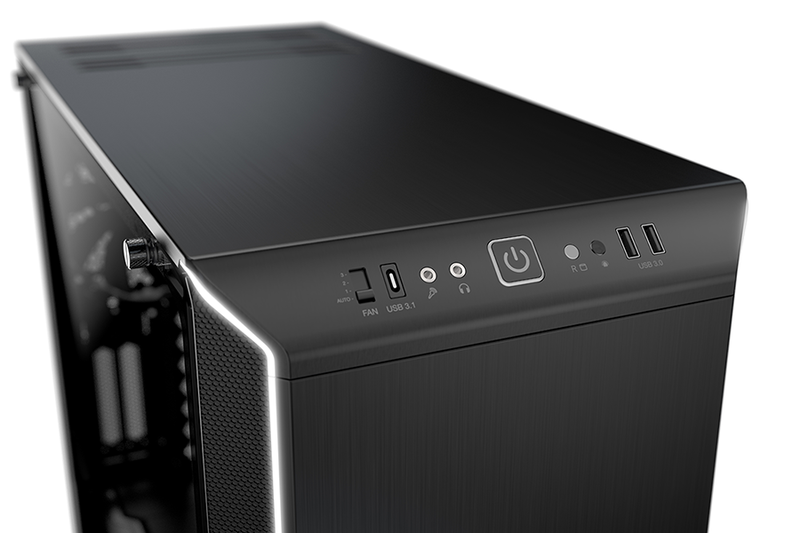 PC enclosures tend to run the risk of being boring - they are ultimately mundane steel boxes irrespective of how much glass or LEDs are thrown on top - but the Dark Base 700 has enough tricks up its sleeves to keep things interesting. Firstly, it's a good-looking case, with some of us in the office calling it the most attractive enclosure in recent years. 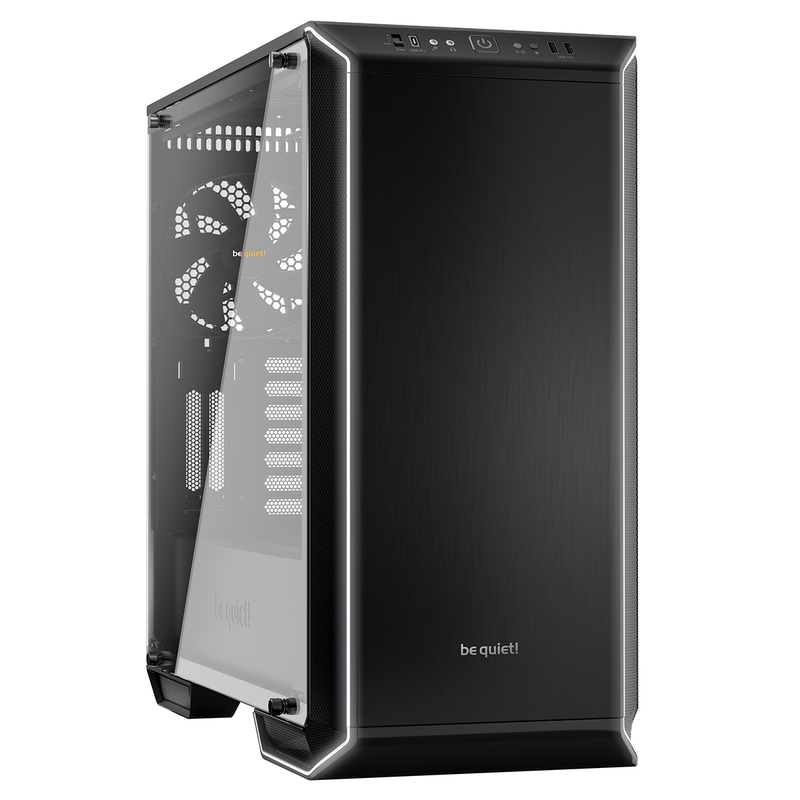 The chassis is larger than your average mid-tower, measuring 519mm (H) x 544mm (L) x 241mm (W), but the bulk is well masked by an elegant exterior that uses aluminium top and front panels to create a sleek finish. 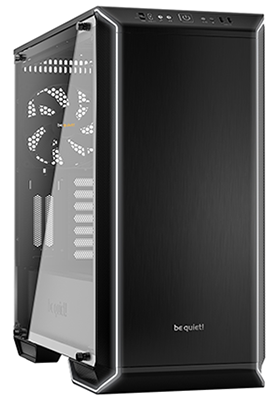 Angled front edges are a signature design statement for be quiet! cases, and they are implemented to good effect here, helping soften an otherwise too-angular frame. The black paintwork is neatly done. Not quite glossy and not quite matte, it catches the eye while doing a reasonable job of repelling fingerprints. 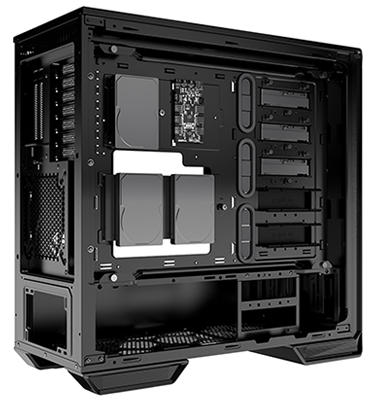 Keeping up with modern trends, the enclosure's front sides are lined with a thin trim of RGB LEDs that manage not to appear gaudy, and the main side panel is a full-size sheet of tempered glass. Tinted to maintain the dark facade, the 4mm glass adds another layer of luxury, though it's a shame it isn't sat on hinges - the four padded thumbscrews work just fine, but the panel does risk falling off when unfastened and needs to be handled with care. On the outside the Dark Base 700 has the look and feel of a full-tower Dark Base 900 on a diet, however be quiet! is clearly attempting to appeal to a wider audience this time around. There are no bright-orange rubber grommets, so you needn't worry about complicating your component colour scheme, and though the integrated QI wireless charging pad has fallen by the wayside, there are plenty of other incentives. The forward-looking I/O panel is a particular highlight. 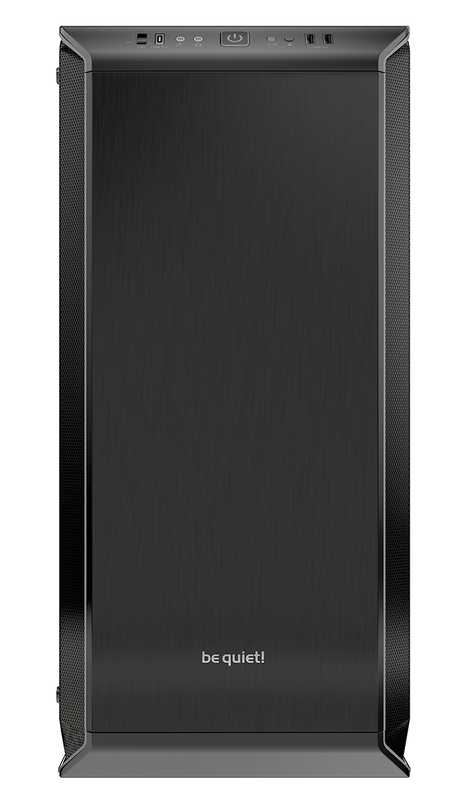 Lining the top-front edge, it includes a fan controller, USB 3.1 Gen 2 Type-C, a pair of audio jacks, a backlit power button, a reset button that doubles as an activity LED, a toggle switch for the RGB LEDs, and a couple of USB 3.0 Type-A. Almost perfect, though if we're nitpicking, the white hard-disk activity LED is a little distracting for our liking. But we really are splitting hairs, it is good to see be quiet! including USB Type-C, and the fan controller is excellent, too. When set to auto, the six-way internal hub adheres to a PWM speed profile from the motherboard BIOS. Choose to go the manual route and you have three speed levels to choose from, and better still, the half-a-dozen four-pin connectors on the hub are split into two channels, each of which have a toggle switch for 'silence' or 'performance' modes. Useful if you want, say, a couple of fans near the GPU to run a little quicker than the rest. These small surprises make the Dark Base 700 rewarding to work with, and there's a whole lot more happening on the inside. Like the Dark Base 900, be quiet! 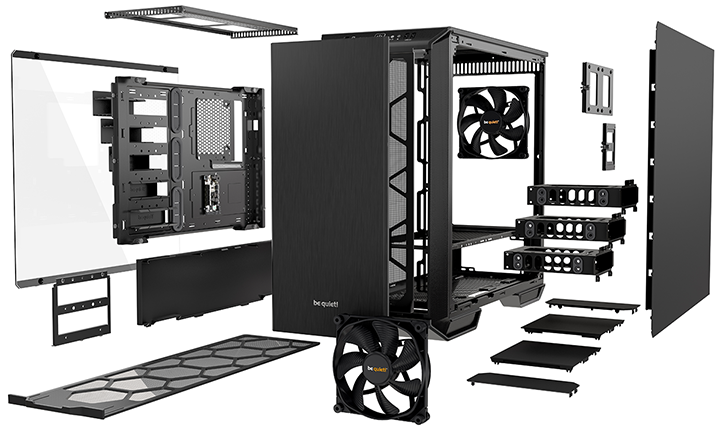 's mid-tower sibling adopts a modular approach offering more flexibility than you're ever likely to need. The steel frame can be stripped almost bare, and there's an option to re-assemble using an inverted layout. 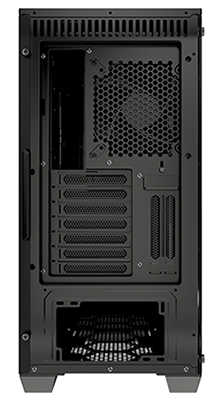 If you so choose, the motherboard tray can be fixed to the opposite side, putting the graphics card(s) above the CPU, and be quiet! doesn't miss the little details - even the branded side cover of the PSU shroud can be swapped over. Are many people going to use an inverted layout? We're not so sure, however the option isn't reduced to a gimmick as the de-coupled components have other benefits. 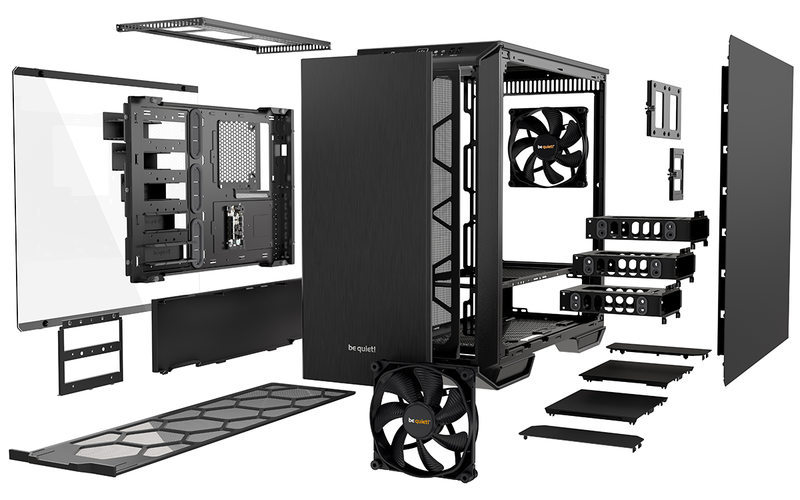 Fixing a liquid cooler is simple thanks to the slide-out mounting bracket, a removable motherboard tray lets you build an E-ATX, ATX, M-ATX or Mini-ITX foundation without space restrictions, and the tray even has rubberised feet, allowing for it to double as a standalone test platform.